The whole world is coming around on understanding the value of medicinal cannabis – and its relative safety in relation to other legal medicines. Clinging to holdouts like the FDA and DEA as Utah’s opponents do is backward looking and ignores the conflicts of interest these agencies have. The #DEA’s staffing depends on continuing to arrest hundreds of thousands of cannabis users every year. Even “descheduling” for medical reasons – as a number US Senators support – will remove the most important underpinning of their role in cannabis law enforcement. The #FDA meanwhile is an agency with divided loyalties between 1) protecting and promoting the American people’s health – and 2) promoting and protecting the pharmaceutical industry – which we feel they’ve come to prioritize over that first responsibility. FDA senior staff have often come from the pharma industry and a good number return it after a government stint. Foxes. Henhouses. Guarding. We think reasonable, fair-minded persons can connect those dots. As for the “plants aren’t medicine” mantra, we’ll return to this in detail, but historically and factually, it’s a nonsense notion of the first order. Utah, it’s time to get with the program! “As a growing number of countries and US states pass legalized use, the #UN has decided to take a fresh look at international laws, which currently prohibit cannabis in any form. 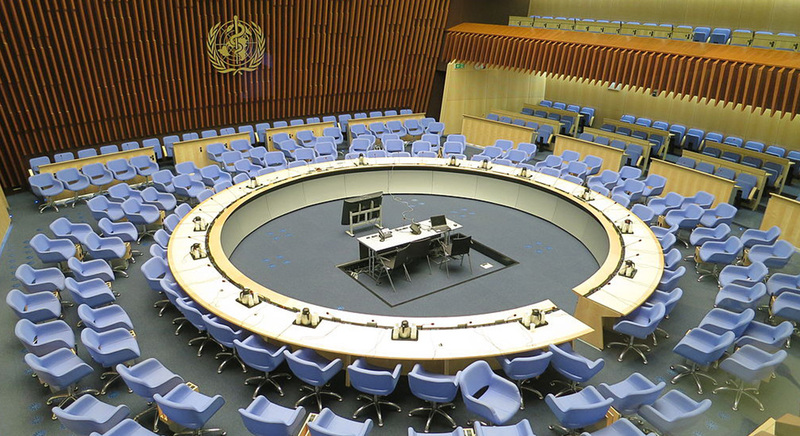 This week, a World Health Organization (#WHO) committee released a pre-review which includes several positive findings that may help usher in a new era of global cannabis reform. The WHO Expert Committee on Drug Dependence [is] evaluating whether current laws should be upheld or altered. [They’ve] acknowledged CBD is a low-risk, medically-useful drug, but the pre-review also contains optimistic conclusions related to the safety and medical use of cannabis generally. Overall, they found growing evidence cannabis has ‘some therapeutic potential’ to treat these conditions, though [what they looked at doesn’t yet allow] them to make a final determination.